Purity is a deeply relaxing musical experience that cleanses your energy and encourages your mind to let go of repetitive thinking patterns. 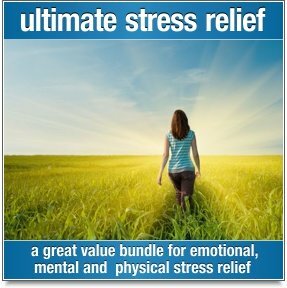 This unusual music is like a healing balm for your mind and body and a cleansing shower for your aura and energy. This music of Purity is a little different to most "typical" relaxation music. It's dreamy, flowing and at times quite formless. When played quietly, the therapeutic tones of bowed Tibetan bells have a really hypnotic quality to them that some people will find exceptionally soothing. 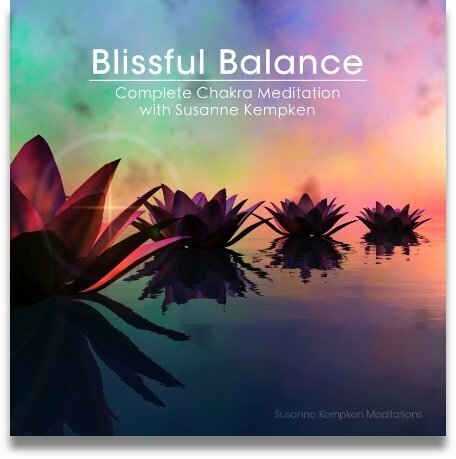 The eight tracks on this album all flow together to create an hour long "sound bath" that is very relaxing and a fantastic accompaniment to meditation. 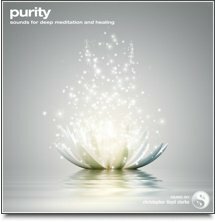 The music of Purity is wonderful for meditation and is equally effective on either headphones or open speakers. Just let the sound gently wash over you as you meditate. You can use the music to magnify the effect of personal rituals like affirmations and visualizations. 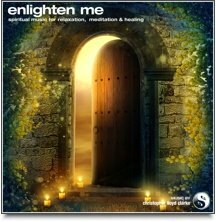 If you put time aside each day to center yourself, to clear your mind or focus your intentions, then the sacred tones of Purity can really help to make these rituals more effective by amplifying and clarifying your own personal vibrations.Take a moment to tune in to the music previews below and try it for yourself. The effect can be very powerful. Playing the music of Purity on open speakers will help to purify the energy in any room, and brings about an atmosphere of peacefulness and clarity. You don't need to have a specific reason to enjoy the music of Purity. Take a break from the noise of the world and experience something a little different. Played at a quite volume, this music has a subtle but powerful calming effect that's quite different to most other types of music. Tibetan bells usually have a smooth-milled rim that can be bowed with a wooden mallet to produce slow, sustained tones that have the most hauntingly beautiful quality. The sound they produce is incredibly pure. I can’t think of a better word to describe it than that. When multiple bells are played in combination, their tones intermingle in an organic and sometimes unexpected way, combining to create more complex, layered sounds that can be mind-numbingly hypnotic. That's exactly what you'll hear throughout the album "Purity". Bowed Tibetan bells are the focal point of this album and they are only accompanied by an occasional sprinkling of chimes and some subtle white noise sweeps. The therapeutic music of Purity not only cleanses your energy, it also encourages your mind to let go of repetitive thinking patterns and it helps to dissolve negative or dark psychological energies. You could think of this album as "Sonic Reiki". For some people, the minimalistic, formless nature of this music will be an entirely new experience, and one that can be profoundly relaxing. There are no emotional highs or lows, just a free flowing palette of textures, colours and lights that the mind can shape and interpret in its own way. The eight tracks on this album flow together as a cohesive musical experience, so even though there are short breaks between each track, when you experience the album as a whole you may not be able to identify where one track finishes and another begins. Christopher highly recommends that you listen at a very quiet volume, and I mean VERY quietly. It only needs to tickle your eardrums ever so gently to work its magic. It’s also worth mentioning that in some cases, listeners who are exceptionally stressed may find this music irritating at first. Those who work in the healing arts will recognize this as sign of stress and/or traumas that have surfaced and are ready to be released. Keeping the music at a quiet volume will help to moderate this experience. Your relaxing journey begins with this long opening track. The combination of slowing tones, white noise and regular chimes establish an instant atmosphere of peacefulness and clarity. Easing into a slightly deeper state of relaxation, the music of Blossom helps to loosen your emotions and encourages your energy to open up and flow more smoothly. The third track reaches out to your heart, seeking out negative energies like emotional pain, tension and hardness. The tones penetrate your heart, bringing lightness, balance and openness to your being. As you journey inward, deep and perhaps unfamiliar places are revealed to you. This music symbolizes the formless, subtle nature of your subconscious mind. Wholeness and harmony are the aim of this music. Neither happy nor sad, Healing Circles is a great track for bringing your entire energy system into balance. Slow and deep. This music creates a space for inner exploration or sleep. Let go and just sink into the music. This is a time for rest. Towards the tail end of the album we reach Purity. If you fell asleep during the previous track, this song will gently bring you back, enlivening you and refreshing you. The music finishes with a gentle high point that just might give you goosebumps. This final track features only the sound of white noise. Quiet in volume, high in frequency and finely textured, these white noise sounds are without colour or mood. They are the finishing touch on your journey, emptying any remaining clutter from your energy and leaving you with a sense of quiet stillness.